Al-Khalili (OBE), a theoretical physicist, author, broadcaster and know-all, and 20 or so of his most formidably brainy friends and colleagues here ponder some of the biggest and most frustrating questions in all science, like: Are we alone in the whole preposterously huge universe? If we aren’t, then would extraterrestrials come here – if they haven’t already? And for what reason? Could we somehow get to them? Or are we sadly destined to remain here on Earth forever, with only dumb damn humans as company? With plenty of scientific rigour in between some spacy wit, standout chapters here include: the editor’s intro Where Is Everybody? ; Dallas Campbell’s sometimes funny Flying Saucers: A Brief History Of Sightings And Conspiracies; Chris French’s biting Abducted: The Psychology Of Close Encounters With Extraterrestrials; Monica Grady’s The Next-Door-Neighbours: The Search For Life On Mars; Ian Stewart’s Monsters, Victims, Friends: Aliens In Science Fiction Writing and Adam Rutherford’s It Came From Beyond The Silver Screen! : Aliens In The Movies (which rips into the bad science that permeates cinematic sci-fi and especially destroys Prometheus); and Seth Shostak’s sobering finale What Next? : The Future Of The Search For Extraterrestrial Intelligence, which repeats what the other sciencey bods here have already stated fairly flatly (ie. the chance of life as we know it – or don’t know it – having happened on any other planet anywhere out there isn’t too good, sorry). 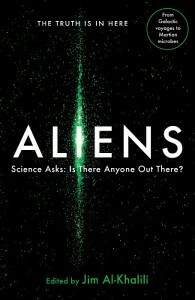 Tags: Abducted: The Psychology Of Close Encounters With Extraterrestrials Adam Rutherford ALIENS - SCIENCE ASKS: IS THERE ANYONE OUT THERE? Chris French Dallas Campbell Dave Bradley Eric Idle Flying Saucers: A Brief History Of Sightings And Conspiracies Friends: Aliens In Science Fiction Writing Ian Stewart It Came From Beyond The Silver Screen! 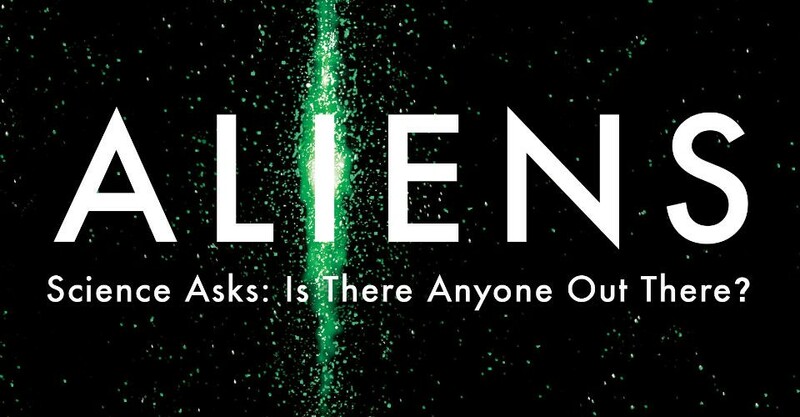 : Aliens In The Movies Jim Al-Khalili Monica Grady Monsters Monty Python Profile Books Prometheus Seth Shostak Seth Shostak’s sobering finale What Next? : The Future Of The Search For Extraterrestrial Intelligence The Clothesline The Next-Door-Neighbours: The Search For Life On Mars Victims Where Is Everybody?